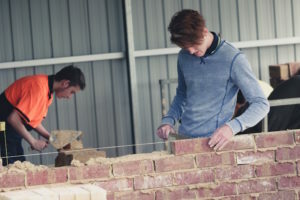 Are school-leavers really not interested in trades? A 20-storey apartment building has been granted development assessment approval for Adelaide’s East End. The $70 million “Monument” tower will rise 63 metres high and have sweeping views of the Adelaide foothills, parklands and city. The project is a joint venture between Singapore-based financier and SA expat Mark Ebbinghaus and Adelaide developer C Projects. It is designed by BDA and TECTVS, based in Adelaide. Design by architects BDA and Adelaide-based TECTVS, the apartment building will be set back from Rundle Street and East Terrace and will use adjustable screens to create a moveable “mosaic” on the building façades. Stephen Connor, director of C Projects, said “As well as being catalyst for economic development in the East End, the design of this project will also see the existing heritage buildings on the site maintained and enhanced as part of the redevelopment. 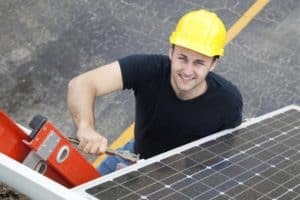 “The project will also add significant employment and economic benefit for South Australia, with an estimated 110 jobs created in construction and a further 1100 jobs in the broader community. “Not only is it the premier lifestyle destination in Adelaide, all apartments have superb, generous, functional floorplans and will enjoy priceless views. “It’s a great time to be buying an apartment in Adelaide, with stamp duty, rate holiday and construction incentives available for early purchasers,” Mr Connor said. Completion is anticipated for 2020. Tiling – 4 positions available working all over Adelaide. 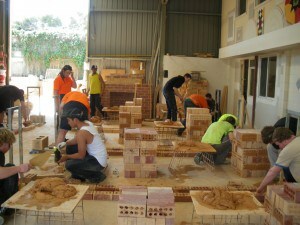 Carpentry – 12 positions available, 1 school based option working central Adelaide. Applicants must be under 21 with a car and license. Trade apprenticeships have a high level of physical work so applicants must have a good level of fitness. Preference will be given to applicants who have completed a Pre-apprenticeship course and/or have trade experience. To apply contact Trisch on 83675615 or email trisch@fcta.com.au.